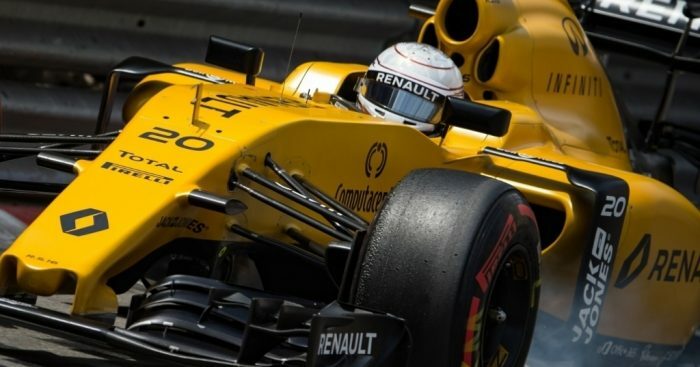 Kevin Magnussen fears Renault have made their RS16 “worse” at a time when they thought they were making it better. Although Magnussen was running Renault’s upgraded engine in Thursday’s practices in Monaco, he was not able to make strides forward on the timesheet. He finished the afternoon’s running down in 17th place, almost three seconds slower than Daniel Ricciardo, who was running the same engine but in a Red Bull car. “Not the best day really,” lamented Magnussen. “We thought we’d made a step forward in the test in Barcelona, but we’ve come here and we don’t have the car we expected. “It’s all the chassis. The engine has delivered, it’s a good step. But for us we could have the best engine on the grid right now and we’d still be close to where we are. He added: “I think we have made the car worse and that’s a mistake for us because we thought we had made the car better. The Dane’s troubles were compounded by a crash at the final corner where he went nose first into the barriers. “I just understeered into the wall. I turned in and had no grip,” he said. “Looking through the data I didn’t go any faster than the lap before, I hit the wall slightly, but it only damaged the front wing.